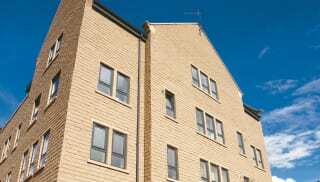 For all types of building projects, Marshalls provides a broad range of reconstructed stone walling products together with advice and guidance from the beginning to the end of each job. Available in various colour tones, reconstructed stone walling can be provided in tumbled walling finishes. Buff-coloured Cromwell is manufactured using a hydraulic press, giving a high-density product with low water absorption. The special process gives it a high quality long-term performance, whilst the use of Yorkstone aggregates delivers a cost-effective natural looking stone. 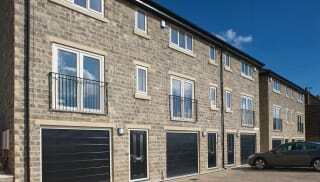 Thistlestone’s tumbled stone walling also presents a natural stone face appearance. Available in several colours, this versatile material is used to effectively blend in with its surroundings. 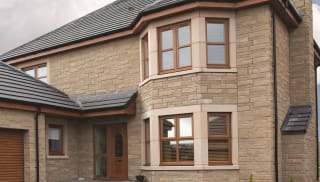 Weathered sandstone-looking Epoch, provides the ideal solution for a tumbled sandstone walling effect. Produced using the latest technology, the high density of this durable product means greater accuracy during installation, reducing time and costs. For further details and specifications, explore the range now.